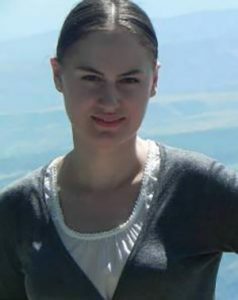 Tatia Chikhladze joined the ITN Caspian in September 2015. After receiving a BA in international relations from Tbilisi State University (TSU) in 2010, she pursued MA studies at the Centre for Social Sciences (TSU), obtaining an MA degree in Transformation in the South Caucasus in 2012. In 2013-2014 she did an MSc in Russian and East European Studies at the University of Oxford. Before joining the ITN Caspian she worked as an adviser at the Council for State Security and Crisis Management of Georgia and at the Office of the State Minister of Georgia for Reintegration. Currently Tatia is based at the Research Centre for East European Studies at the University of Bremen as a PhD candidate and she is an affiliated fellow at the Bremen International Graduate School of Social Sciences (BIGSSS). Her research interests include political regimes of post-Soviet states, comparative politics and security studies. Her PhD project is focused on the strategies for power preservation in post-Soviet authoritarian states with personalist rule. Threats to Stability in Central Asia: What Role for the EU? Are Four Heads Better Than One? Russia as Conflict Instigator, Mediator, Saviour and Perpetuator. CASPIAN is funded by the European Commission’s Horizon 2020 programme. Grant agreement number SEP-210161673.